People blog for many reasons. Some for the fun of it, some to share knowledge (myself included) and others to make money online. 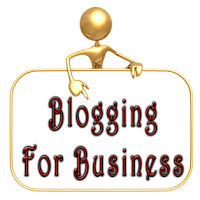 Company blogging, sometimes known as corporate blogging however, is in a class of it's own. It is a relatively new trend for both online and brick and mortar businesses. It entails a company keeping a blog, usually run by the employers of the business. It has a lot of benefits including brand awareness and link building. I'll outline a number of these benefits in this post. I've noticed that SEO companies are taking the lead in company blogging. This is probably because they are the best ones to know about business blogging benefits. I wasn't always sold on the idea of blogging for business, especially if the company was not able to keep it up to date. I think it is a big commitment which should not be started unless the company bloggers are capable of seeing it through. Fresh content for search engines: As we all know, search engines love fresh and new content, especially when updated regularly. A frequently updated company blog would encourage the search engines to come back to index new content regularly. It would also show the website as a source of authority on the Internet and eventually increase the website ranking position. The content should generally be related to the company services and industry to help with categorisation and authority building. Target keywords: With fresh content updates, it is always easier to target specific keywords, including the long tail keywords. The updated content should be related to the desired keywords, to help keyword density. These keywords can also be targeted by using other on page optimisation tips. Keywords should be well researched to ensure it would be suitable for the business. Linkbuilding and linkbaiting strategy: A company blog can be used as a link building strategy by linking to other business websites and in the process get backlinks from other businesses. Linkbait could be done in the form of a product review for other businesses, providing highly informative news, how-to articles and top-list articles. Content like this can go viral and result in a number of backlinks to the company blog. Brand and Services Awareness: It can be used as a form of marketing and brand awareness. When new services become available, it can be blogged on. Blog posts could also be on general news about the company. This way, the company blog also keeps clients and customers up to date and aware of what is going on in the business. Provide information for Business Industry: Company blogging can be used to provide information for not just your clients but possibly future customers as well. It can show the company as a useful source of information for that industry. People will also feel encouraged to contact companies randomly for offered services if they believe the company knows a lot about their business. Source of direct feedback: It can be used to provide direct feedback for the company. The company could write an article or survey which asks a list of questions and encourage the readers/customers to answer, with a possible reward at the end. This way, the company knows what their customers require and can work towards satisfying the customers better. Gives the company a 'face': This is one of my personal favourites. A blog can give a company a 'face' and make it more friendly towards customers and future clients. This is because it provides a transparency of sort for the company. This is especially the case when comments are encouraged and responded to. It works towards building a community where the company and its users interact freely, sort of like a facebook fan page. It can also give an inkling into the company culture and environment for future employees. 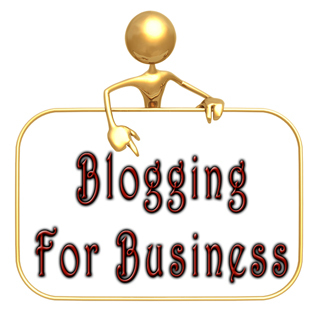 Company blogging is definitely an avenue which is still being explored. As with most things corporate, one has to remember to be professional when blogging for business, because you are the face of the company. You should avoid providing personal opinions which are not in line with the company's. Sure, you might also get a few negative comments but you need to handle it professionally. What have you noticed about blogging for business. I know it's a lot easier when you are your own boss and blog for your own business, but what about an actual corporate blog? What do you do differently? Are there any other benefits to corporate blogging? Please share your thoughts and opinions, especially since this is my personal blog!